Sony is one of the biggest names in the field of gaming consoles, all its PlayStation gaming consoles being tremendous successes. In the field of portable consoles, even though it had some serious competition from Nintendo, Sony still managed to stand out thanks to innovative products that always pushed the barriers of mobile gaming a little bit further every time. 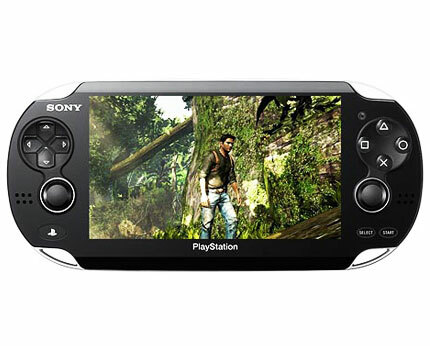 The PlayStation Vita is the successor of a portable legend – the Sony PlayStation Portable, known simply as the PSP. At a first glance, the PlayStation Vita and the PlayStation Portable seem quite similar when it comes to design and key layout. 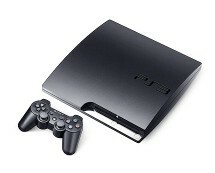 However, the similarities stop here, as the new Vita comes with entirely upgraded hardware under the hood. Let’s start with the beginning: the controls; besides the classical D-pad, action buttons and Sony’s unmistakable control sticks, the Vita also comes with one major improvement – a 5” OLED touchscreen display. As if that was not enough, a multi-touch track-pad located on the back of the console takes things even further and the cherry on top of the cake is represented by the presence of a three-axis accelerometer. This interesting combination of control methods makes the PS Vita an incontestable leader in terms of control and ease of use. 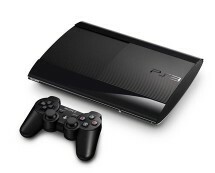 The heart of the console is a 1.2 GHz Cortex-A9 quad-core processor, the same type of processor used in the iPad 2, paired with a PowerVR SGX543MP4 quad-core GPU. This powerful combo delivers enough processing power to make applications and even the most demanding games run fluently. It’s not all sugar and spice with the PS Vita, though, as the console has some pretty serious drawbacks too. The biggest minus is by far the lack of any internal storage space; that’s right, the PS Vita has no internal storage whatsoever, forcing you to buy an external memory card if you want to be able to store some files such as music or movies. Games come on special memory cartridges that usually come with their own dedicated memory space you can use for game saves or updates; memory cards use a proprietary format and, same as the game cartridges, they come at outrageous prices. Another downside of the PS Vita is its poorly optimized web browsing capability. The fact that Sony tried to extend the usage range of its popular gaming consoles by adding Internet browsing is a good thing, but by the way it did this is quite disappointing. Flash and HTML5, two of the most widely used technologies are totally unsupported by the Vita, limiting the user to a dull web browsing experience. As a final thought, the Playstation Vita is a good portable console, as long as you don’t use it for anything else other than gaming.